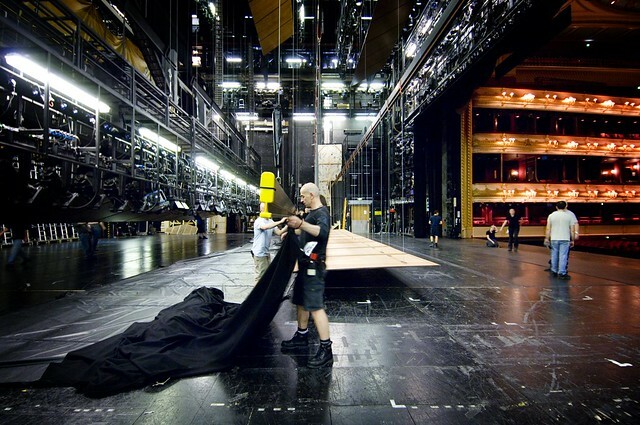 Royal Opera House one of 26 organizations on shortlist. The first stage of Arts Council England’s capital programme was announced today, with applicants now having 18 months to put forward applications for phase two. The money from the capital programme is focused on the refurbishment or extension of existing arts buildings and the replacement of critical equipment. Arts Council England proposes to invest just over £114 million in this first round of the fund, its first new capital investment in nine years. Projects through to phase two include: the refurbishment of the Southbank Centre’s Queen Elizabeth Hall, Purcell Room and Hayward Gallery to bring them up to the international standard of the Royal Festival Hall; work to transform the auditorium, front and backstage areas of Chichester Festival Theatre; and extensions to Embrace Arts at the Richard Attenborough Centre in Leicester and the Square Chapel in Halifax. Successful applications also involve the development of 40 affordable artist studios at High House Production Park in Thurrock, a new home for Cornerhouse and the Library Theatre Company in Manchester, and a new space for South East Dance in Brighton. Tony Hall, Chief Executive of the Royal Opera House, said in response to the announcement, "We are hugely grateful that Arts Council England has put us forward to Stage Two of their capital funding programme. Not surprisingly after 13 years since the redevelopment stage equipment, plant and infrastructure are beginning to go wrong, break down and wear out. This money will not be spent on chandeliers and red carpets but on things that make the building function properly and to full capacity in the most energy efficient way. So, we are looking at chillers, stage lifts, stage wagons, roof leaks, stage curtain mechanisms, stage and front of house lighting, overhauling of some of the seating, in fact a huge long list of vital stuff that keeps this building functioning safely and effectively. Being able to draw on a special capital fund to make these essential improvements means that we can continue to invest in our art forms and our programme of education."